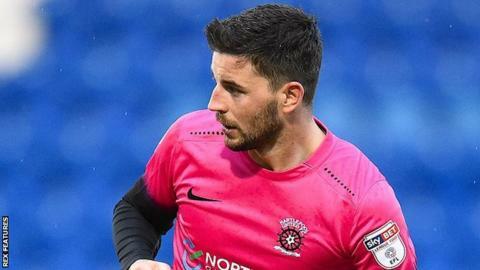 Newport County have signed striker Padraig Amond from Hartlepool United for an undisclosed fee. Amond, 29, has scored 45 goals in 90 League Two games and has left Pools after they were relegated to the National League last season. He is set to appear in the Exiles' first home game of 2017-18, against Chesterfield on Saturday. "Hartlepool were understandably reluctant to let him go," said Newport boss Mike Flynn. "To get a call out of the blue from [Hartlepool manager] Craig Harrison last Wednesday saying Padraig could go was a pleasant surprise. "We worked on the deal over the weekend and I was delighted to get it over the line." Flynn added: "This deal also shows the club is going in the right direction as we can sign a player for an undisclosed fee within the budget." Irishman Amond said: "It's an exciting thing for me to be back in the Football League."